The rooms at the hotel come with a seating area and a flat-screen TV. 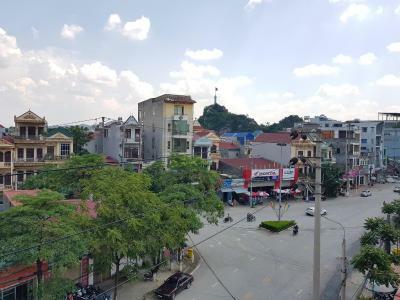 Hoang Vu Hotel has certain rooms with city views, and the rooms are equipped with an electric tea pot. All rooms have a desk. 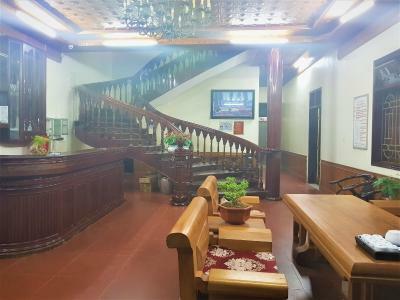 When would you like to stay at Hoang Vu Hotel? This twin/double room has a electric kettle, seating area and air conditioning. 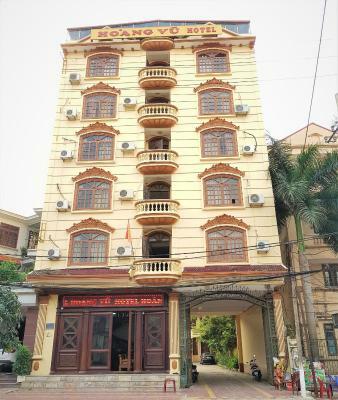 House Rules Hoang Vu Hotel takes special requests – add in the next step! The facilities are somewhat worn down. The lock of the window is broken. ◆Lang Son in the end of November is quite cold. There were blankets in the wardrobe but the sheets were not fitted. I slept wearing a down jacket and jeans. ◆Wifi signal is weak and often disconnected. I would like to say it is a nice and well located hotel for the price, if the Wifi works more. 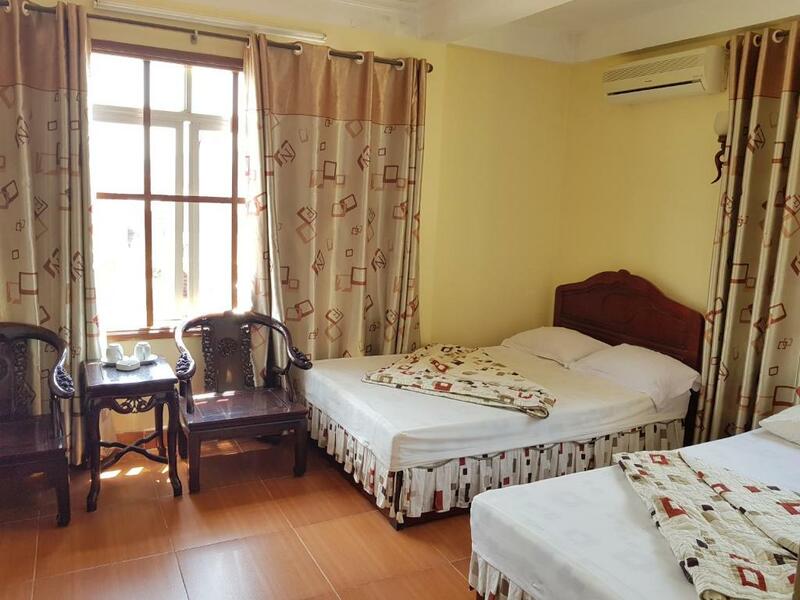 I stayed in the double room for 420k VND per night (in late November). 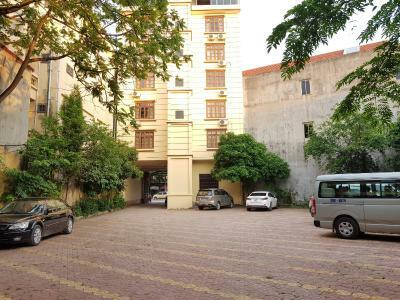 ◆Located on Le Loi St. extending from Lang Son Railway Station to the west. 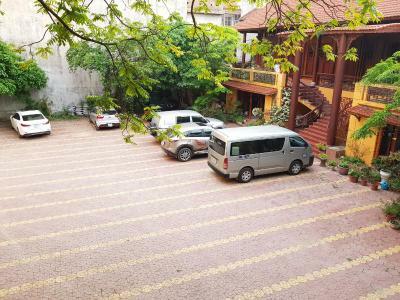 A 5 minutes walk from the railway station, about 10-15 minutes walk from Dong Kinh Market in the city center, and about 10 minutes by taxi from Phia Bac Bus Station (30k VND). There is a big supermarket near the hotel, so you can get almost anything you need on traveling. 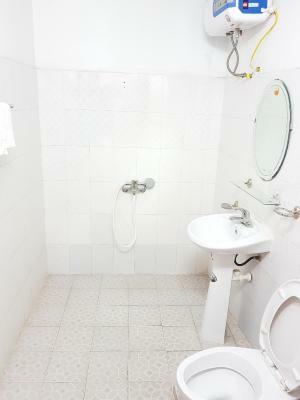 ◆The room has enough windows, and is quite spacious for the room rate. A/C, fridge and electric kettle are attached. 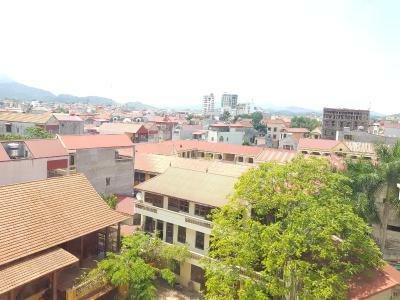 ◆The room I stayed was on the 6th floor, so I could look out over the city of Lang Son and Phai Ve Mountain on the terrace. ◆The hotel has an elevator. Receptionist speaks good English. Room amenities were okay with a fridge and AC however there was no hairdryer which is a minor thing and the towels provided were small and barely enough to dry yourself fully. The hotel owner, Jimmy, made us feel extremely welcome as he had studied in the U.K and could speak English very well. 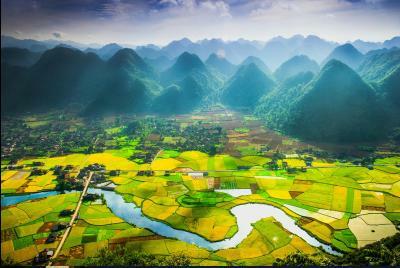 Room overlooked the rooftops of Lang Son and had views of the karsts which dominate the Vietnamese landscape. Rooms were clean and free from bugs which is always a bonus.